Who would've imagined that juggling can look this beautiful. 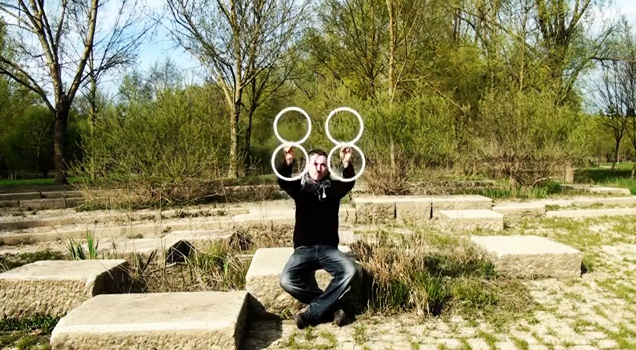 Lindzee Poi, a juggler and illusionist from France filmed himself performing what he calls an Amelymeloptical illusion. He juggles four white rings with such skill that they appear as if they're moving on their own. An with a classical piano piece thrown in, the video is just perfect. In case you are wondering, the tune used in the short film is Comptine d'un Autre Été, a track from the 2011 romantic comedy movie Amelie which starred Audrey Tautou and Mathieu Kassovitz.